Cynthia A. 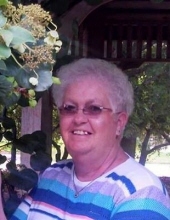 “Cindy” Miller, 67, of Pecatonica, IL died at 4:26 am Friday October 5, 2018 in her home surrounded by her loving family. She was born September 6, 1951 in Oconomowoc, WI the daughter of Mr. and Mrs. Clarence O. and Mary (Bresnehan) Brockway. Graduated from Pecatonica High School class of 1970. Cindy married John C. Miller in Pecatonica, IL on July 11, 1970. She was employed as a paraprofessional by the Pecatonica School District and retired in 2015. Her survivors include husband John Miller of Pecatonica, IL; son Michael Miller of DeRidder, Louisianna; daughter Kellie Miller of Pecatonica, IL; grandchildren Logan, Jaqueclyn, Essie, Miracle, Paige, Malachaih; great grandson Tyler; Mother Mary Brockway; sister Sandy (Sy) Gassman; brothers Scott Brockway, Craig (Susie) Brockway, Tim (Carrie) Brockway; numerous nieces and nephews. She is predeceased by her father and brother in law Rick Miller. A memorial ceremony will be held at 12:00 pm Saturday October 20, 2018 in McCorkle Funeral Home- Countryman Chapel 529 Washington St Pecatonica, IL with Deacon Warren Lamont officiating. A memorial visitation will be held at the funeral home from 10:00 am until time of ceremony Saturday. The burial of her cremains will be at 11:00 am Saturday October 27, 2018 in Twelve Mile Grove Cemetery. To send flowers or a remembrance gift to the family of Cindy A. Miller, please visit our Tribute Store. "Email Address" would like to share the life celebration of Cindy A. Miller. Click on the "link" to go to share a favorite memory or leave a condolence message for the family.